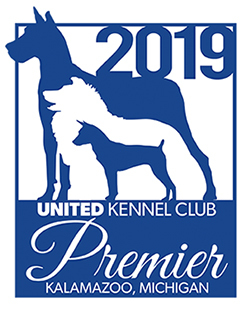 sired by a non-UKC permanently registered male dog from a UKC acknowledged registry may be registered using the Litter Registration Application for Litters Sired by a Non-UKC Registered Sire. This process is available only to the following 15 breeds: Beagle, Boykin Spaniel, Chesapeake Bay Retriever, Curly-Coated Retriever, Flat Coated Retriever, Golden Retriever, Labrador Retriever, Brittany, English Pointer, English Setter, German Shorthaired Pointer, German Wirehaired Pointer, Hungarian Wire-Haired Vizsla, Irish Red & White Setter, and the Vizsla. Litter registration applications must be submitted before the litter reaches one year of age. Each puppy in the litter will be issued an Application for Permanent Registration, a temporary application used to permanently register a dog whose litter has been registered, and which holds no rights and privileges regarding event participation and/or for that dog to be used for breeding. Once the Application for Permanent Registration is filled out correctly, submitted, and processed, a Permanent Registration Certificate will be issued. Once a dog has been issued a Permanent Registration Certificate, it is entitled to all rights and privileges, providing all applicable UKC Rules & Regulations are followed. If the sire of a litter is less than 8 months of age or more than 12 years of age on the date of breeding, UKC reserves the right to require that the sire and dam, and at least one puppy from the litter be DNA profiled through UKC, and the parentage verified before registering the litter, at the litter owner's expense. If the dam of a litter is less than 10 months of age or more than 10 years of age on the date of breeding, UKC reserves the right to require that the sire and dam, and at least one puppy from the litter, be DNA profiled through UKC and the parentage verified before registering the litter, at the litter owner's expense. Learn more about submitting registration forms or refer to the instructions on the application forms. Get more details on special mailing options.